Award winning payroll software for schools, academies and MATs. 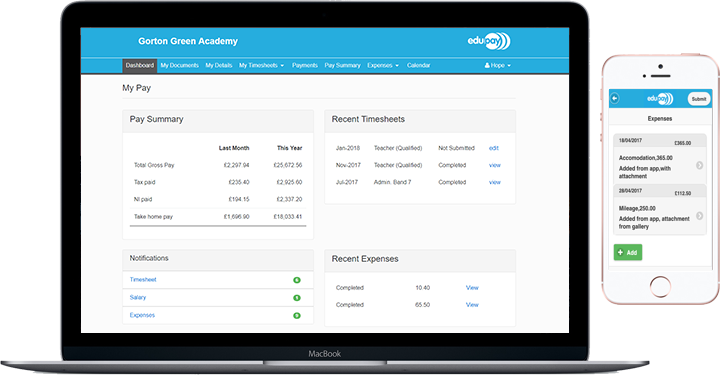 EduPay is the only payroll service specifically designed for schools, academies and multi academy trusts. Blurring the line between a software and a bureau, EduPay recognises the complexities that go into payroll in education and automates the processes that would normally be carried out by a bureau service. EduPay handles the essentials like e-payslips, HMRC submissions and pension files and it helps with account postings, saving you time and eliminating human error. Together EduPay and BPS eliminate dual entry. Automate employee module updates into your payroll and keep track of all your budgeting and payroll elements in the click of a button. Never manually reconcile your payroll again. Keying in data twice is no fun. EduPay can be integrated with your BPS budget planner and post directly into your accounts- no need for dual entry. No waiting around for the system to update. Information at your fingertips, as soon as you need it. It’s a good view from here! All the important stuff in one place, so it’s easy for you to see which tasks are outstanding. Employees can complete time sheets, view payslips and P60s and other documents and update their personal details through their phone or their computer. No paper, no fuss, no problem. The reports you need, in the format you want. Fast, flexible & accurate reporting… Anytime. No more puzzling over maternity calculations. Get it right the first time with our spot-on calculator. Important doesn’t mean complicated: Accurate pension contributions in the click of a button. Having used a competitor budget planning software for a number of years I was somewhat sceptical about using a more inexpensive package and what it might offer. I am delighted to say that I have had all of my fears put to rest. I find the software extremely easy to navigate around and use friendly. The help desk staff are amazing – nothing is too much trouble and their patience when dealing with newbies to the system is second to none. The software links very well with PSF and enables me to generate excellent user friendly reports on actual expenditure. I would have no hesitation to recommend this software to anybody looking for an intuitive user friendly budget planning software. I look at this as a partnership. I genuinely feel that if I phone up with a problem, there’s someone on the end of the phone who wants to make that issue go away for me. I feel that the team take my problem personally and seriously and I know they’ll sort it. That’s always a great thing.